Samantha Bianca Jacobs is light of complexion, has green eyes, is 1.6 metres tall and weighs about 55 kilograms. She has a scar above her right eye and another scar caused by a cut on three fingers on her right hand," The 15 year old was last seen wearing a khaki pants, black t-shirt with gold prints and black sandals at Valhalla Park in Cape Town. 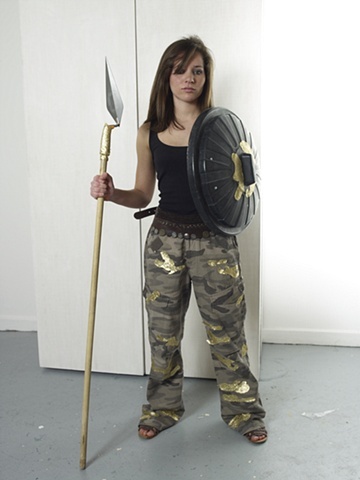 Materials include warrior like apparel, gold motifs, a shield maiden Valkrye's shield, a wish maiden Valkrye's spear. A woman who has chosen to fight as a warrior, she choses who will die in battle and who will live.